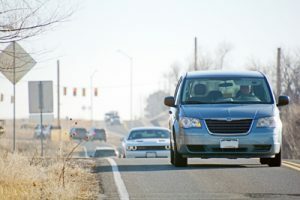 Greeley keeps growing and the City’s transportation plan needs to keep changing to stay ahead of future development. The City’s 2035 Comprehensive Transportation Plan includes a transportation map that city officials use to guide future development. As Greeley grows, city staff want to update the map to better reflect new and planned changes and development. As a part of that map update, Greeley officials want residents to learn more about what those changes to the transportation map might look like. Staff will hold two open house events. City officials invite members of the public to attend, talk with city staff, and learn more about the update. The first open house takes place from 4:30-6:30, Tuesday, Jan. 15, at the Greeley Family FunPlex Community Room B, 1501 65th Ave, Greeley. The second open house runs from 4:30-6:30 p.m., Jan. 23, at City Center South First Floor Conference Room, 1001 11th Ave.
For more information go to greeleygov.com/services/pw/transportation/mobility, or contact Transportation Planner Allison Baxter at 970-350-9326 or Allison.baxter@greeleygov.com.